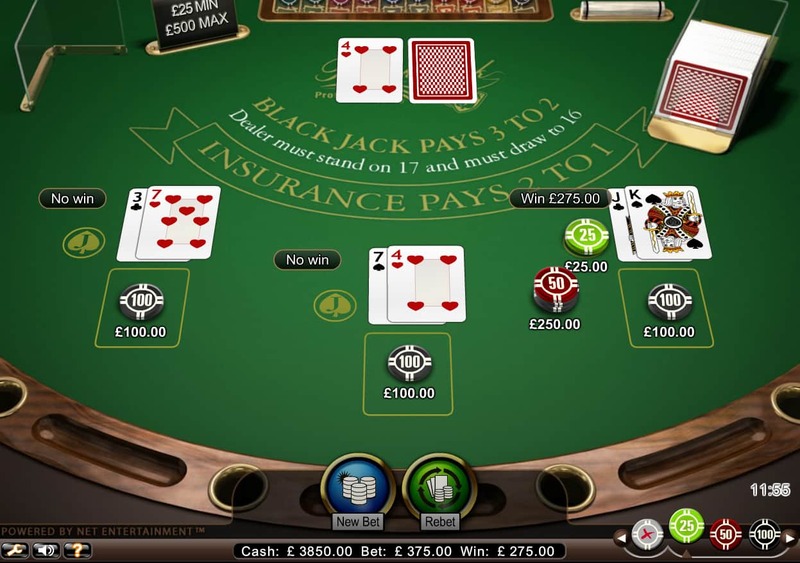 Professionals love side bets, it seems, as NetEnt includes a Jacks-based side bet in its Blackjack Professional Series. We can be as professional or as cavalier as we like as we hunt down serious wins from this multihand game. 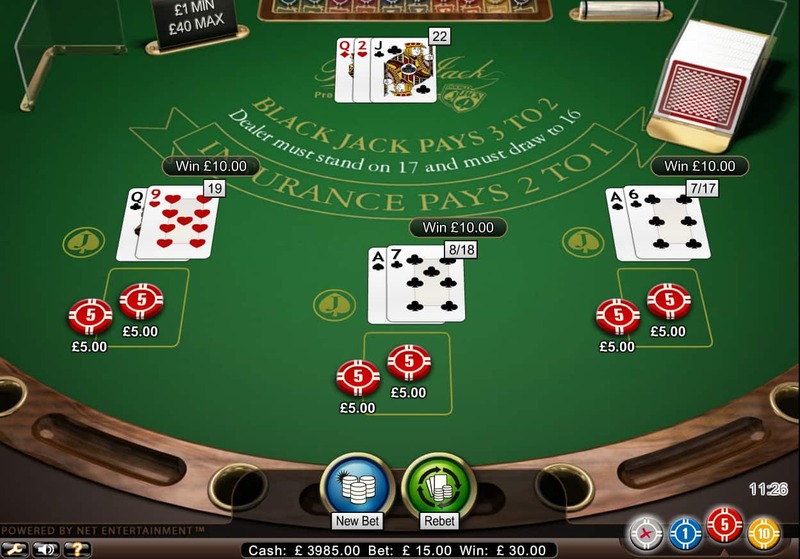 The stakes per hand aren’t too severe, but the potential 100:1 payout available on NetEnt’s Double Jacks side bet game means that there is plenty to entice us other than a straightforward Blackjack hand. NetEnt opts for the traditional top-down view, not quite birds eye but enough to create a nice 3D spectacle. Our chips don’t sit quite flush on top of each other, which gives them a wobbly look and adds to the realistic sheen. An alluring chip stack sits in front of the unseen Dealer. Our cards flit across the felt smoothly, and conduct a smart dance to accommodate each other when we split multiple hands. With three possible hands to play, we have enough choice to make a good game of it. 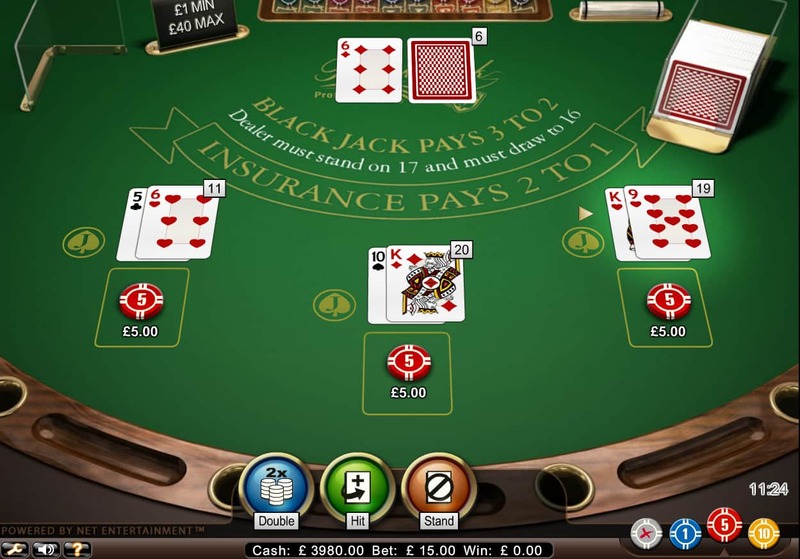 Jazz and Blackjack go hand in hand, so NetEnt’s sound score for this Blackjack version is aimed well. The cards come quickly enough, but if we’re really in a hurry we can push the speed up to 9 and opt for Johnny 5 as our Dealer, really suping the game-play up more notches than we could expect. 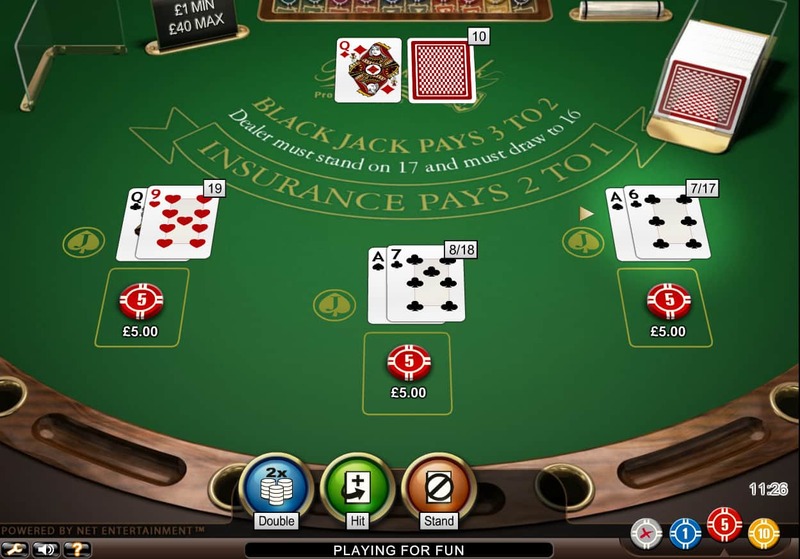 Traditional Blackjack rules apply as we hunt for payouts - Blackjack pays 3:2, Insurance 2:1. We have one option to split on every hand, can Double on any first hand and the Dealer must stand on 17. 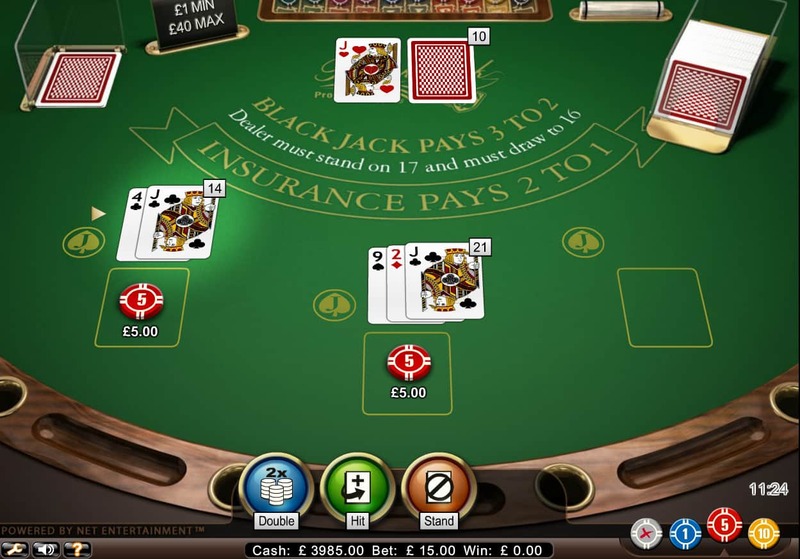 The Double Jacks bonus game sees us awarded payouts if we place a Double Jacks bet - which can be equal to max Blackjack bet - and land a Jack for our first card (10:1 payout) a pair of Jacks (paying out 25:1) or the ultimate pair of Jack of Spades (100:1 payout). That’s a potential 4,000.00 payout from a side bet - not too shabby at all. This NetEnt casino game has all the hallmarks of a top title, as we’ve come to expect from the Swedish maestros. 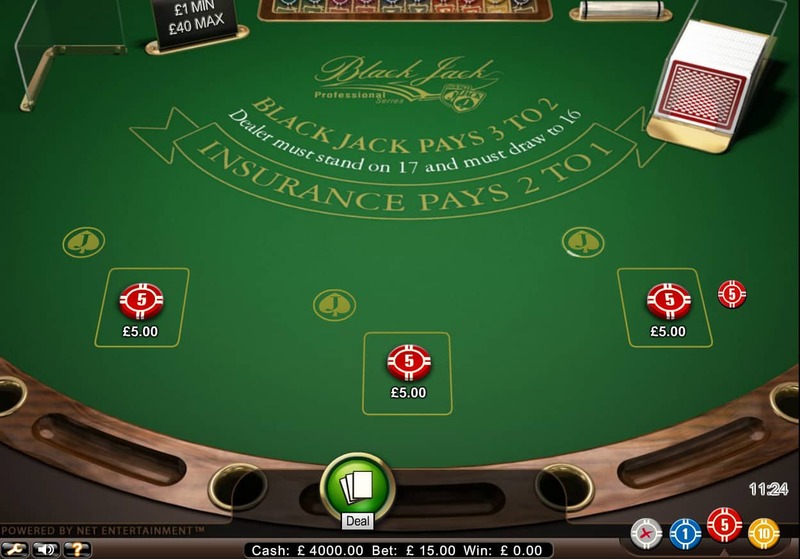 The inclusion of the Double Jacks side bet is a useful addition to freshen up our game-play and enliven our potential payouts, but it isn’t to the detriment of the main Blackjack game. The main game itself is rich, both graphically and in game-play terms, making this a casino game that is sure to top the most-played lists.